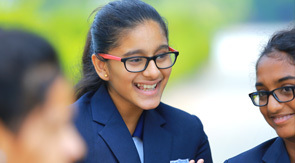 Manchester International School ( CBSE, IGCSE, AS & A Levels, IB PYP & DP ) believes that there are several things that work together to make a student successful. The efficient delivery of curriculum is important, but students also require access to resources in order to truly achieve their academic potential. At Manchester, we feel that counseling plays a very important role in shaping students’ behavior and performance. Comprehensive school counseling program is an integral part of our school’s academic mission. Students with various issues in schools should be listened to. Our personal tutors possess Magnetic personality, Personal adjustment, Interpersonal relationship, Professional competence and Professional dedication, to give recommendations to the administration to solve some issues. We invite experts here to deliver modules on Adolescence. The teenagers are made aware about their social, emotional, physical and intellectual development. We understand the importance of counseling to our school to bring out the best in every student. Early referral can prevent problems in attitudes, behaviour and promote mental health. We also offer personal support to the students who need early intervention. We support them to look at their problems from different angles and manage their academic, emotional and behavioural difficulties to be more successful both in school and at home. With our exclusive Student Development Program (SDP), we identify the issues by tracking academic progress, behavior and attendance data. We have weekly staff meetings to review and plan interventions. We also contact parents to inform about their child’s positive progress and wherever appropriate. Additionally, we facilitate parental access to our school website for data and information regarding the same. As a component of the Value Education sessions, students are given advice on how to deal with emotional conflicts and personal problems both in school and how to incorporate the same in their daily life.